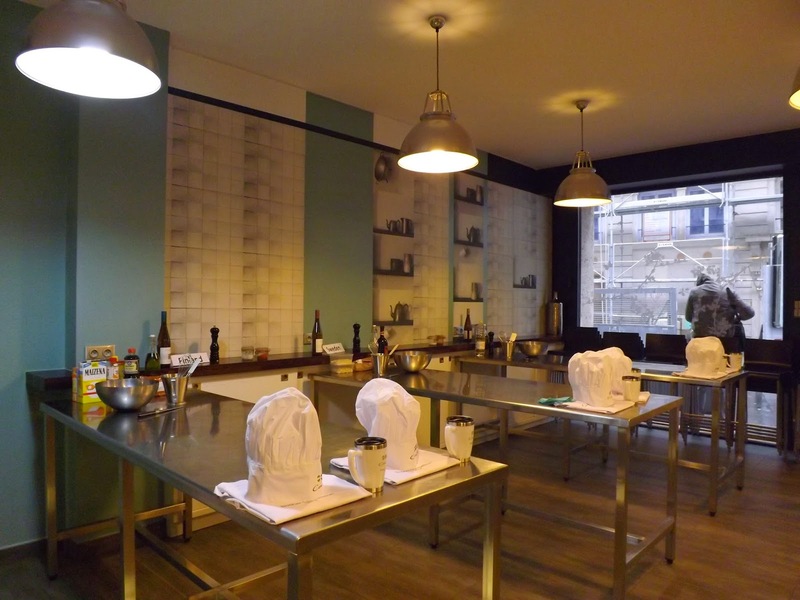 Two weeks ago at a cooking school in a little corner of Paris, I joined Cono Sur General Manager and Chief Winemaker, Adolfo Hurtado and top Chilean chef, Christopher Carpentier to judge the final of the Cono Sur Blogger Competition Final. Ready to kick off the final. 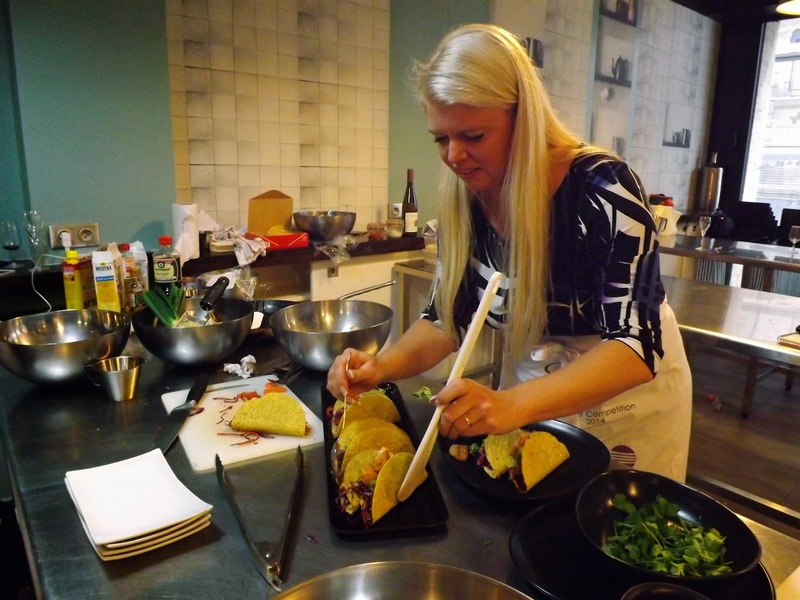 The competition was open to bloggers from Finland, Sweden and Ireland and was a search for a savoury main dish to match perfectly with one of the many wines in the Cono Sur portfolio. Finalists Billy Lyons (Ireland), Johanna Koskiranta (Finland) and Anna Demirian (Sweden) were proud as punch to have been selected as the top entrants in their respective countries, but the best was yet to come! 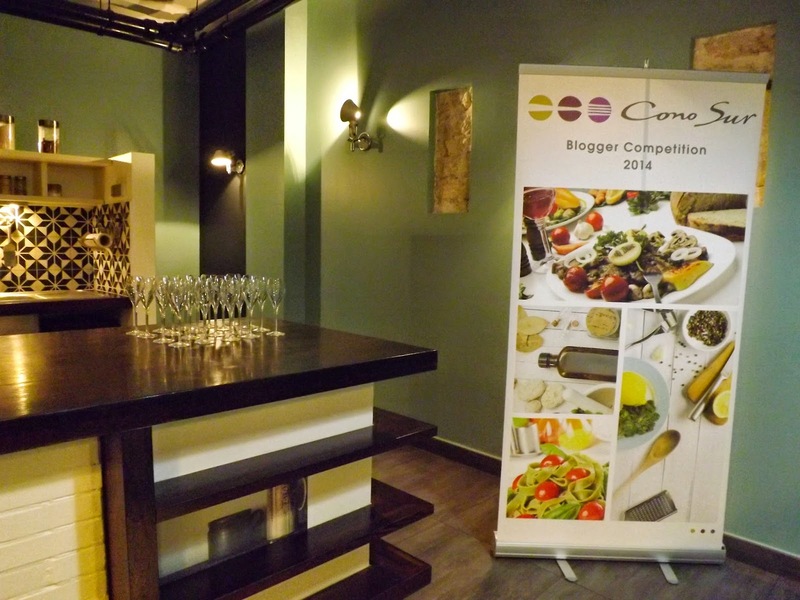 Prior to the final in Paris, I introduced the dishes of the three finalists in my post, The Cono Sur Blogger Competition: We're Involved!, but to see the preparation and cooking take place - along with the buzz of finals day - was truly enjoyable. Add to that, it was a melting pot of culture with bodies from the UK, Chile, Sweden (yet, with an Armenian background), Finland, Ireland and the United States which always makes for interesting conversation! All good days start with bubbles! With the finalists and their guests, Adolfo, Christopher and representatives from both Cono Sur and importers and PR gurus from the respective finalist countries, the atmosphere was exciting from the moment we gathered at the cooking studio to toast the beginning of the day, or the beginning of the end of the competition! 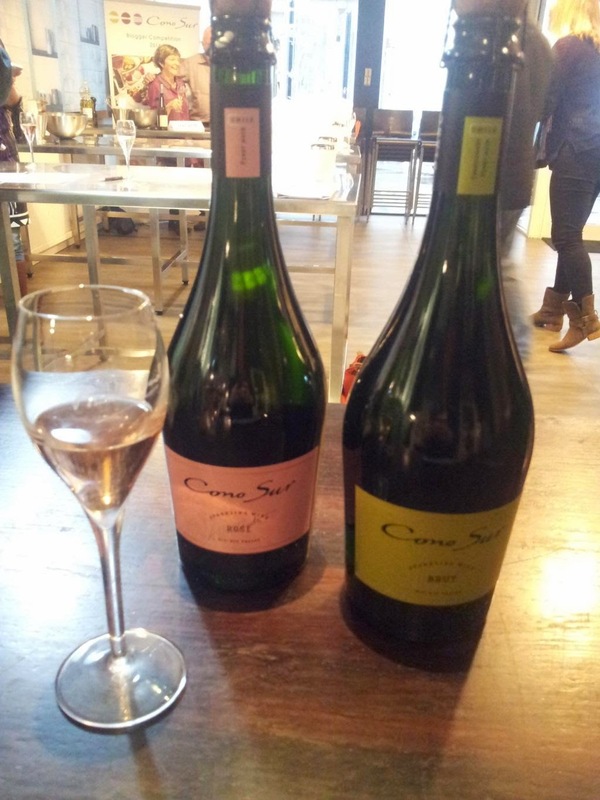 Of course, we started with bubbles - the Cono Sur Brut and the Cono Sur Sparkling Rose, both light, fresh and fruity - and far too easy to sip (even at 11am Paris time!). The ingredients were laid out Masterchef style - each finalist with their own bench plus token chef's hat and apron emblazoned with the Blogger Competition logo, a nice touch and momento to take home - then it was on to mis en place, or preparation time, then finally the cooking and presenation amid a flurry of activity and susequent glasses of bubbles. l'Atelier des Sens set up for the finalists. As the finalists were busy cooking and I was chatting to one and all, Chef Chris was also busy preparing a meal for us all which we enjoyed once all the dishes had been tasted. His inspiration? The coffee pods from his morning coffee on arrival at the studio. The result? 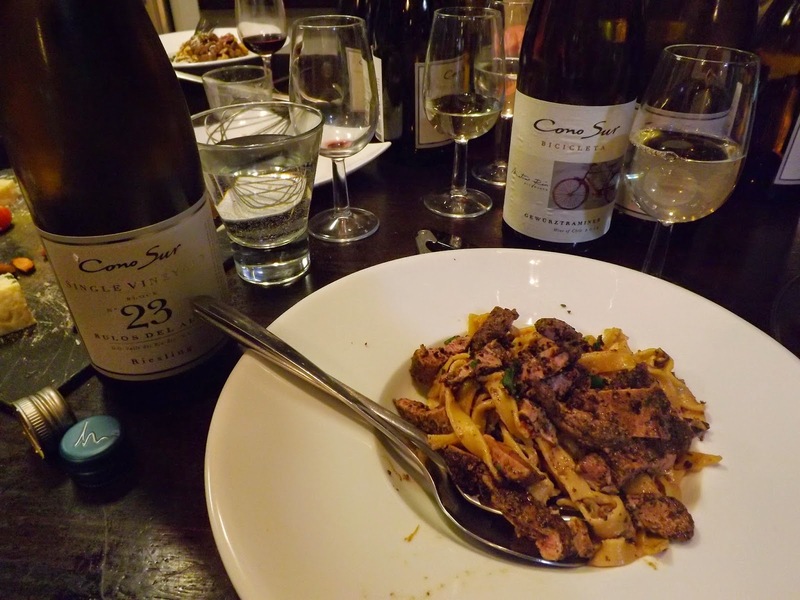 Coffee and spice roast duck tagliatelle with bacon and onion and a glass of the Cono Sur Single Vineyard Pinot Noir. Chef Carpentier's duck tagliatelle with Cono Sur Pinot Noir for lunch! When judging each dish we accounted for presentation, cooking skill, temperature, balance in the dish and of course the food-wine match. Each dish was tasted with its selected wine, but it was until later in the day when we met for dinner that the winner was announced. All dishes were extrememly well executed which made for a tough decision and it wasn't until after the bubbles were popped yet again before dinner, that Adolfo, Chef Chris and I came to an agreement on just who was going to win the trip to Chile. With the spectacular Eiffel Tower illuminated in twinkling lights behind us, we boarded a private boat to begin a magical evening of good food, great wine and great company while cruising down the Seine. Of course we were also to announce the winner after keeping the finalists and their partners in suspense since leaving the cooking studio earlier that afternoon! 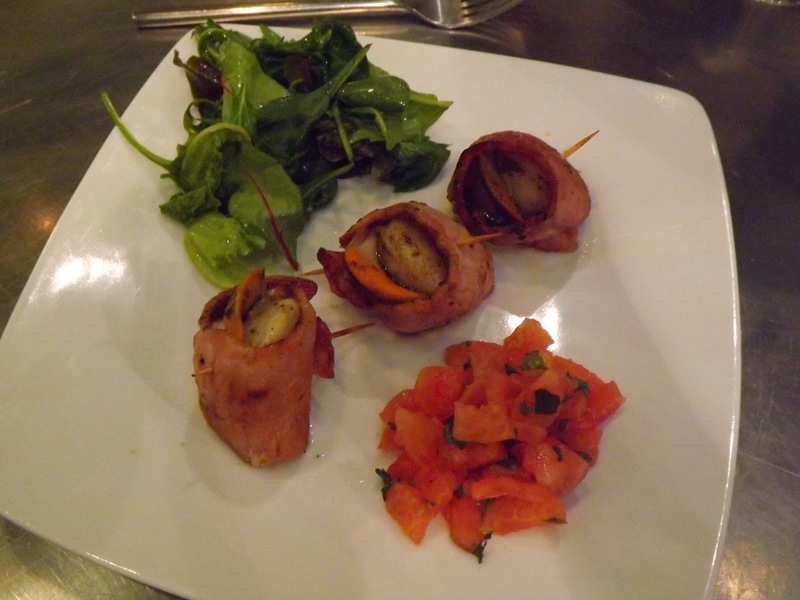 In third place, team Ireland (husband and wife, Billy and Clare Lyons) presented (perfectly cooked) baked scallops wrapped in Irish bacon and brushed with a shellfish butter made locally to their town in Ireland. This was paired with the Cono Sur Single Vineyard Sauvignon Blanc. 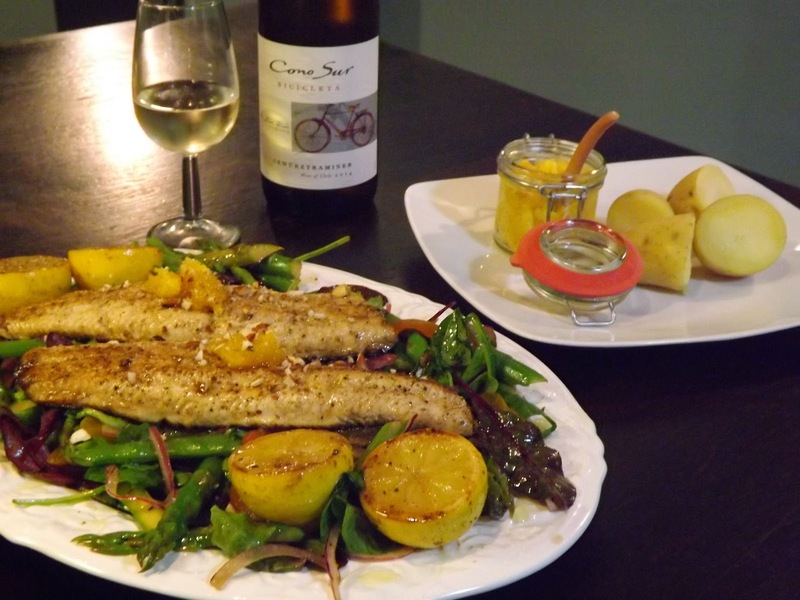 In second place was Anna Demirian, originally from Armenia but having lived in Sweden for a number of years, who prepared pan fried Char (fresh water fish) with a fresh, crunchy salad of asparagus, mange tout and onions, plus a sweet, creamy apricot butter. This was paired with the Cono Sur Bicicleta Gewurztraminer. Finally, the winner, Johanna Koskiranta from Finland and her sous chef, her husband! 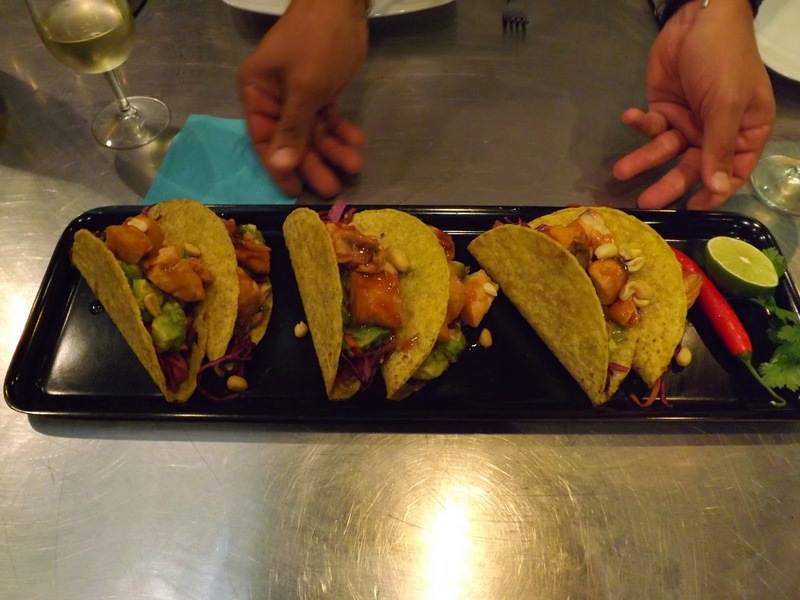 With a dish of fish tacos, Johanna made a teriyaki marinade for her salmon before mixing an Asian inspired salad with avocado, carrot, cabbage, coriander, ginger, garlic chilli to name just a few ingredients. This was paired with the Cono Sur Bicicleta Riesling - even down to which glass it was best served in! A worthy winner indeed who now will travel to Chile with her exceptional assistant - her husband - and explore the Cono Sur Vineyards with Adolo himself....a very lucky couple! The winner Johanna (from Finland) preparing her dish. Many congratulations Johanna, and to Anna, Billy and Clare - what a wonderful day of cooking and wine and a thank you to all the team at Cono Sur - those who where there and those who were not - for inviting me to be a part of an exceptional competition and fantastic trip to Paris.